Canadian broadcaster TVO has greenlit a second season of its original kids’ series It’s My Party from local production outfit Bristow Global Media (BGM). The second 13×22’ run of the show will air on TVO Kids and is once again aimed at six- to nine-year-olds. 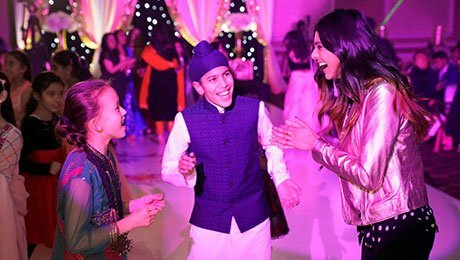 The series takes young viewers on a tour of the world’s greatest parties and festivals, from Diwali and Kwanzaa to Hanukkah and Oshogatsu. Each episode pairs up two kids who have never met, with one acting as the party guide and the other as their VIP guest. The second season will air in the third quarter of this year and was greenlit by Marney Malabar, director of kids’ TV at TVO. Executive producers are Julie Bristow, Marlo Miazga and Daniel Bourré for BGM, and Marney Malabar for TVO Kids. The new series will again be produced with financial support from the Shaw Rocket Fund and the Canada Media Fund and represented internationally by Distribution360. In 2018, BGM bolstered its executive team with the appointment of two creatives — Sean Connolly in the newly created position of VP of development and Daniel Bourré as executive producer, kids — signalling its intention to move deeper into original multi-platform children’s content.